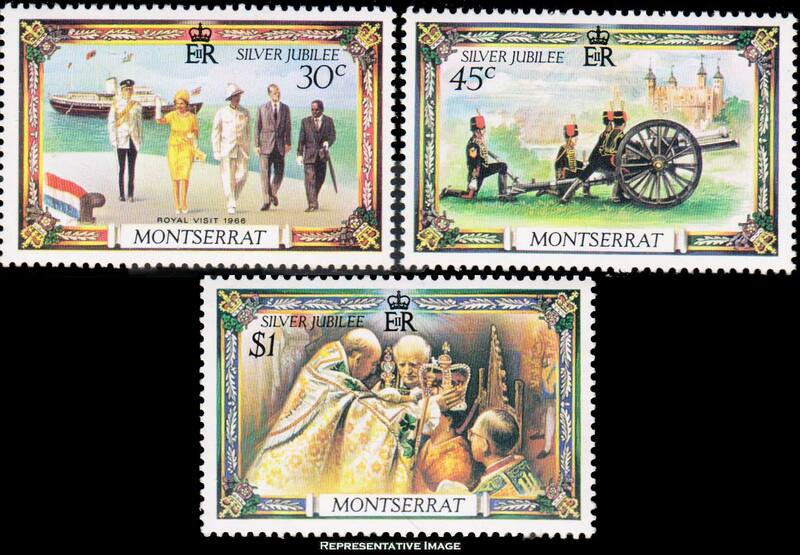 $3 Prince Charles and Pincess Diana Overprinted 70c. 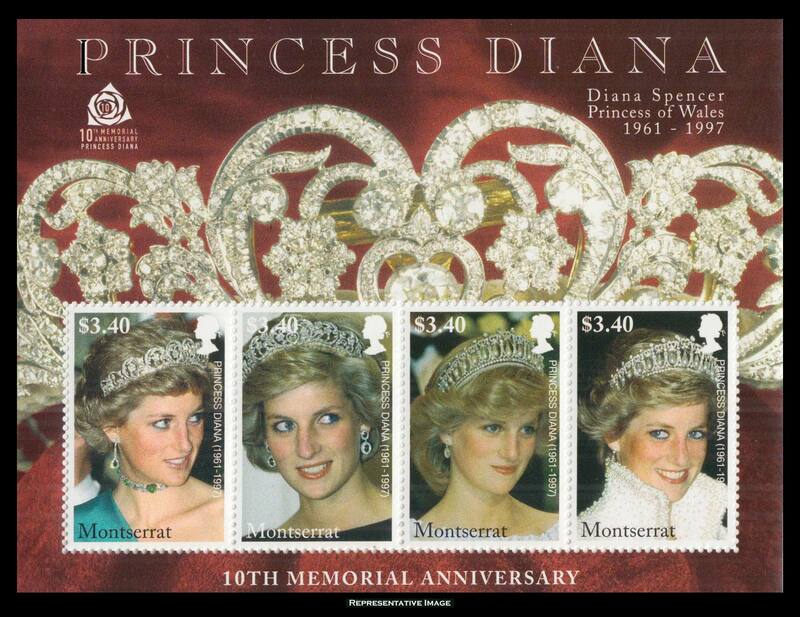 $4 Prince Charles and Pincess Diana Overprinted $1.15. 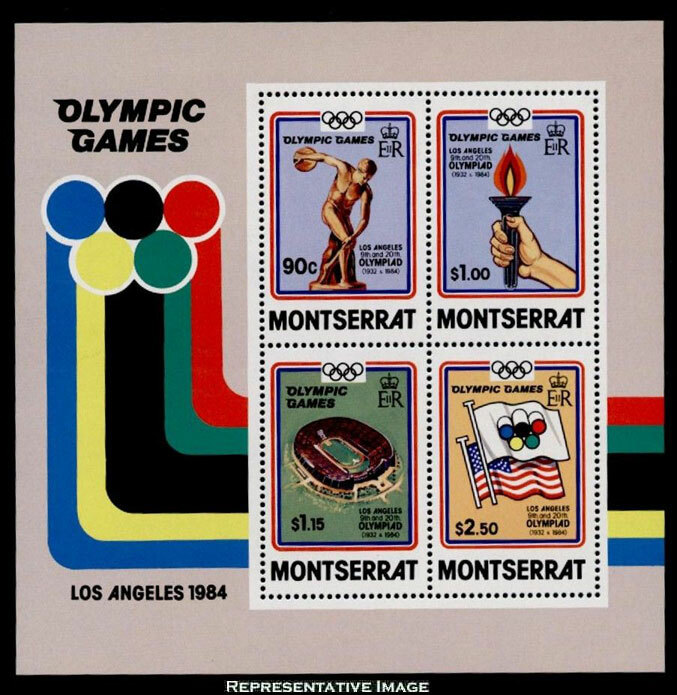 90c, $1, $1.15 and $2.50 1984 Olympics Se-tenant Souvenir Sheet. 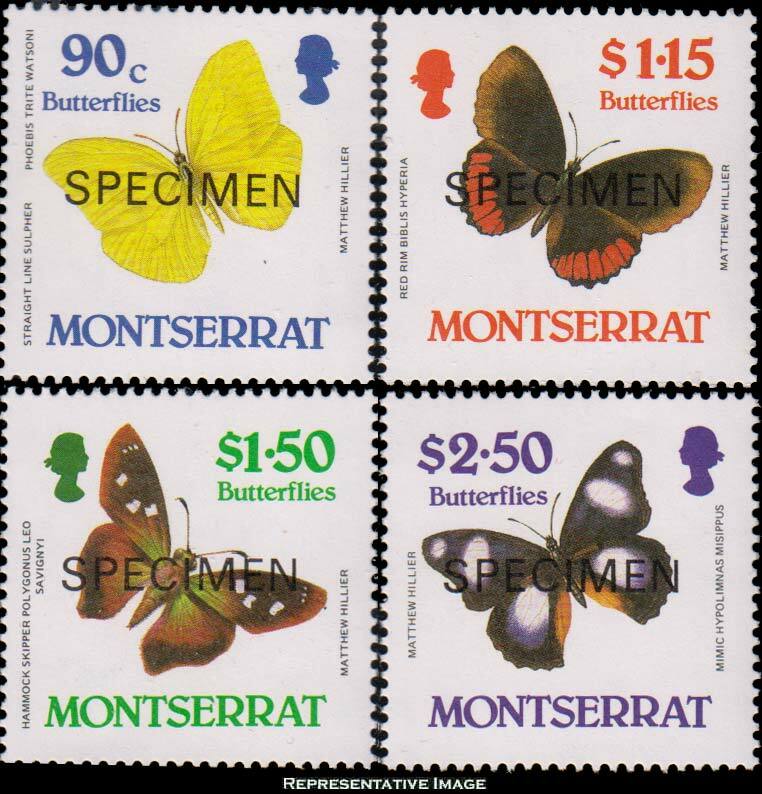 90c Straight-line Sulpher, $1.15 Red Rim, $1.50 Hammock Skipper and $2.50 Mimic Butterflies Overprinted Specimen. 90c Straight-line Sulpher, $1.15 Red Rim, $1.50 Hammock Skipper and $2.50 Mimic Butterflies. 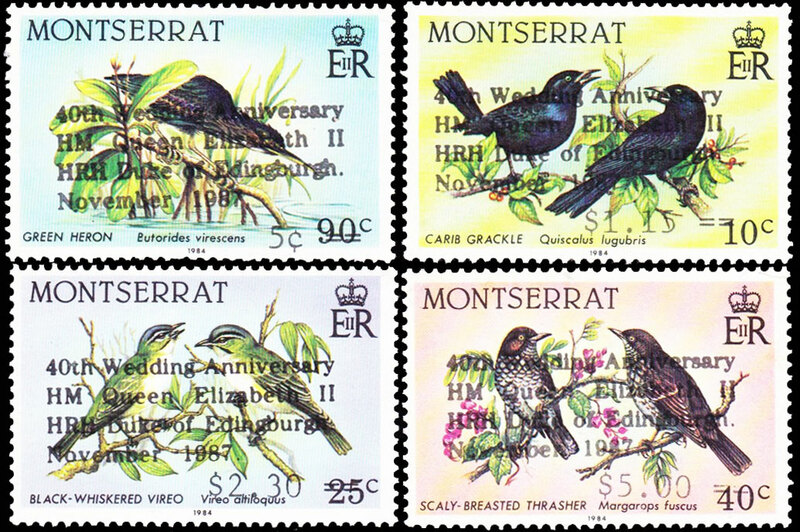 90c Green Heron Overprinted 5c, 10c Carib Grackle Overprinted $1.15, 25c Black-Whiskered Vireo Overprinted $2.30 and 40c Scaly-Breasted Thrasher Overprinted $5.00 All Overprinted 40th Wedding Anniversary HM QEII and HRH Duke of Edingburgh November 1947. Edinburgh Misspelled. 55c Free-Tailed Bat, 90c Fruit Bat, $1.15 Fisherman Bat and $2.30 Fruit Bat Tropical Bats. 55c Free-Tailed Bat, 90c Fruit Bat, $1.15 Fisherman Bat and $2.30 Fruit Bat Tropical Bats Overprinted Specimen. 90c Magnificent Frigatebird, $1.15c Carribean Elaeria, $1.50 Glossy Ibis and $3.50 Purple-Throated Carib Marine Birds 1988 Easter. $5 Single Scull Rowing 1988 Olympics Souvenir Sheet.